We have hand picked each item in the Microfiber Ultimate Kit because they are highly effective when paired together. To create the best kit possible we utilize our years of detailing experience, combined with input from some of the best detailers around the country. We are confident you will get outstanding results with each item and really enjoy how your vehicle looks afterward. Save $68.14 off of the retail price of individually purchasing these items! Bought this kit as, with new car, I want to step up from just washing it once in a while to taking care of it. 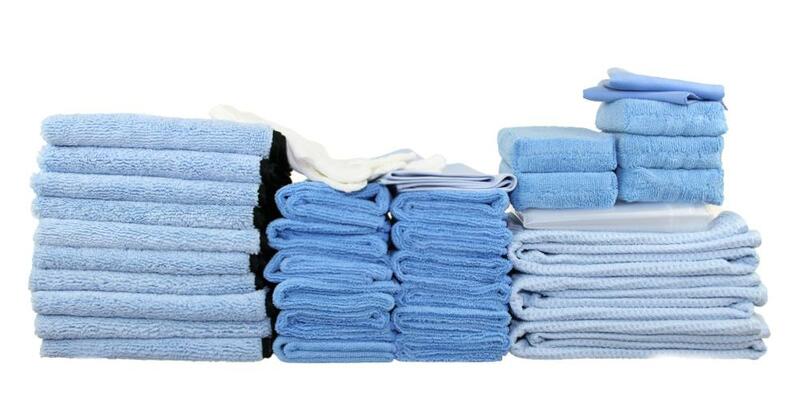 Great assortment of towels for drying, detailing, and doing it the right way. It is fun using the right tools for the job. Also got grit guards and was mitt, all work very well. Will be buying other products as I get more into detailing the car. Stating with exterior, will try interior after I get into a schedule with the outside. Videos and articles on the website are great training tools. Great deal! Every product is very useful, and you save so much from this bundle!